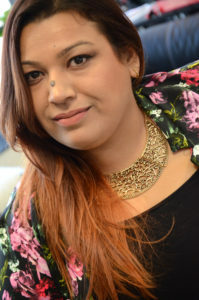 I am a makeup artist, a beauty expert, and the co-founder of Glamazle.com, a premier hub for all things trending in makeup and skin-care in the region. What started as experiments in the powder rooms of my youth quickly became a passion for me, and my own artistic flair coupled with the technical know-how of my partner, Roshan Harief, is what resulted in the two-year fledging wonder that Glamazle.com is today. I express myself through colors, and from a young age, I’ve been known as ‘the girl with the colored eyeliner’. The 12-pack of colors I played with would be from ELF, NYX, Kat Von D Beauty or Makeup Geek Cosmetics, which still holds true today. This Blog is just me penning my thoughts and being vocal about things I feel it could be positive or negative or purely RANT. Join my journey to talk talk and only talk about things.